Booking to Nice up to -70% off To take advantage of these offers, join now for free! 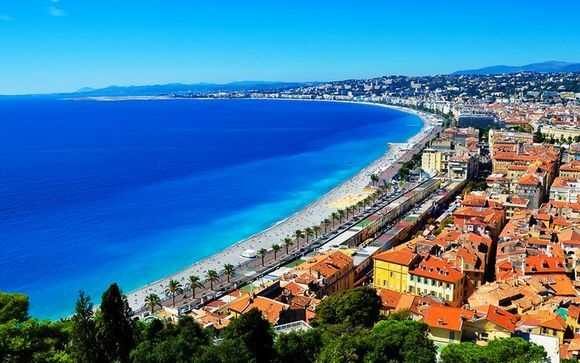 Do you want to visit Nice? 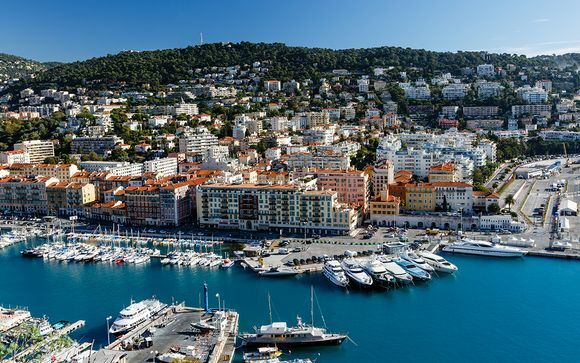 This beautiful city is situated along the south-east coast of France, beside the French Rivera. It's a hugely popular city for families and couples to enjoy a few days or a few weeks away. We explore the very best hotels in the area and what you can see and do when on holiday in this beautiful part of the world. This seaside hotel comes with its very own private beach. Enjoy dining in a choice of two restaurants, relaxing in the sauna and having fun in the rooftop swimming pool. Located in the heart of the Old Town, this hotel is the perfect location for shopping and the beach. Enjoy stunning architecture with a touch of luxury. 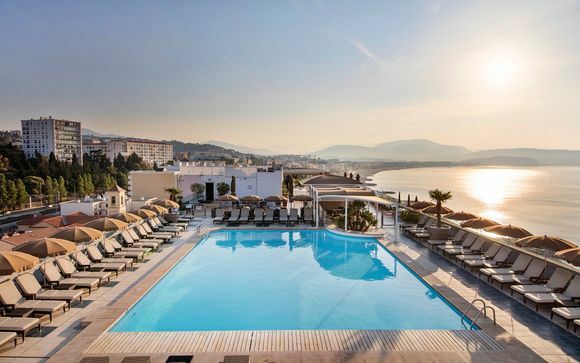 This friendly and elegant seafront hotel has its very own heated pool, treatment room and sauna. If travelling with children, then they can enjoy their very own games room. Set in the heart of the city, just in front of the Promenade du Paillon, this hotel offers you the best in hospitality and comfort, with shops and restaurants only a short walk away. 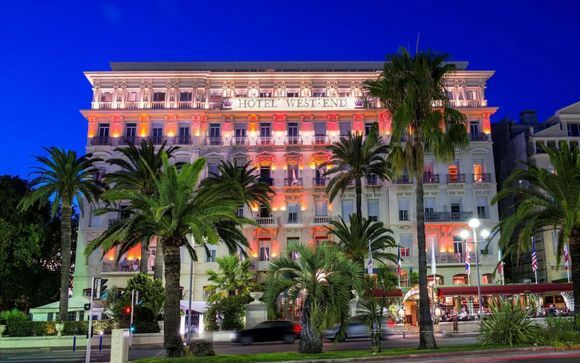 Located along the Promenade des Anglais, this beautiful art deco hotel boasts over one hundred rooms that are all cosy, stylish and come with high-speed internet. Enjoy the solarium, and Lounge Bar along with a rooftop view. 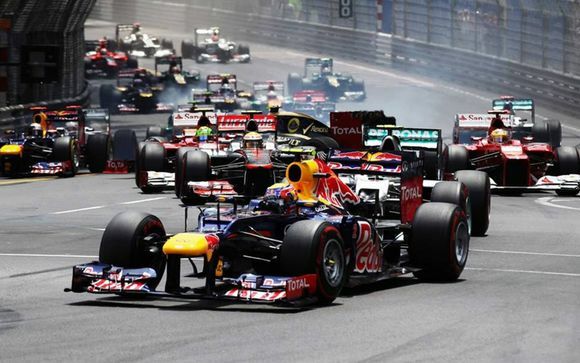 Our reviews on Nice and its hotels: why make your booking there? Nice really does have something to suit every type of traveller and group, even if you are travelling alone or with very young children. When holidaying as a couple, then the Old Town is a pure joy to wander around, with its trendy bars, famous flower market and beautiful pastel coloured houses. 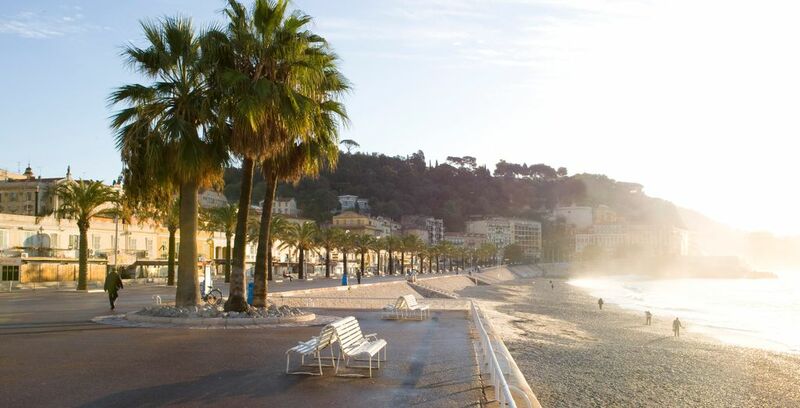 When on holiday with children you can head along the Promenade des Anglais and enjoy a day on the beach. The Promenade is also home to many cafes that are suitable for children. If travelling alone then you can take in the rich culture of this exquisite city. Visit its many museums and art galleries and then enjoy a drink while gazing out at the Mediterranean. All of our Nice hotel picks are ideally situated to access the local restaurants, shops and beaches. Every single one of our selected hotels is comfortable, friendly and equipped with the very best amenities. Relax in the elegant restaurants and take advantage of the pools and saunas. We want you to have the best possible holiday during your stay. Booking your Nice holiday with us couldn't be easier. You will need to register with us, but this is quick and easy as you just select the join now for free option. Or, you can select an offer that is currently available. If there is no offer at the moment, then you can always create an alert for that particular hotel, so that you don't miss any of our best deals. When you choose to register with our site then you'll be able to save up to seventy per cent of the room price, plus you'll receive regular notifications on our top deals. All of this with the very best customer support. 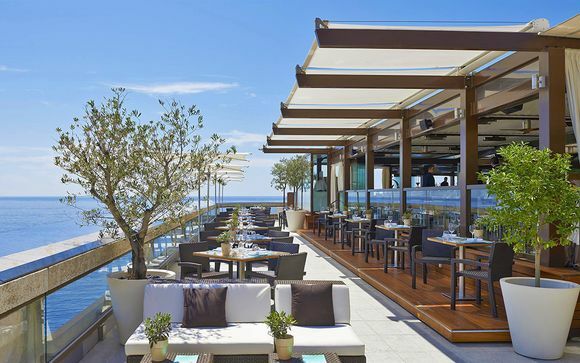 Below we share the very best places in Nice to find hotels. It's here that you'll find exquisite beaches, endless views of the Mediterranean Sea and world-renowned restaurants. The Old Town is the very heart of modern Nice. It's where both old and young mix amongst trendy bars and pavement cafes. 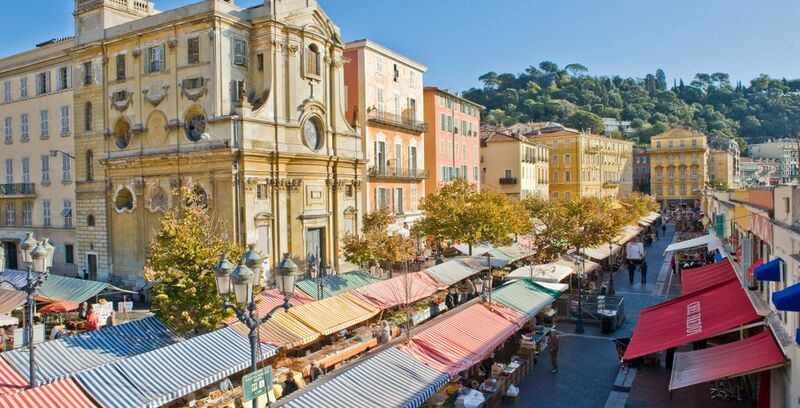 This is such a charming area of the city where you'll find the Puces de Nice with its antique stalls. There are also restaurants and bars to be found here. The heart of the New Town is the Place Masséna where you will find designer shops, museums, galleries and many bars. This area is designed for you to relax and to simply stroll along its beautiful streets. This is also where you can find the Musée Matisse and houses with stained glass windows. 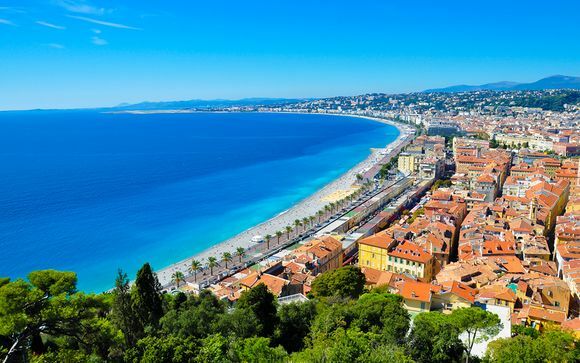 Why should you visit Nice? Well, for such a large city it's incredibly friendly and packed with so much to see and do. It's the ideal place to relax on the beach, swim in the sea and to take in an art exhibition. There is something here for everyone with its world-famous seafront. There are so many art galleries and museums for you to enjoy. Chagall, Matisse and Picasso all spent time in this city and this means that you can view their work here. The city also has grand buildings and stunning architecture for you to admire. 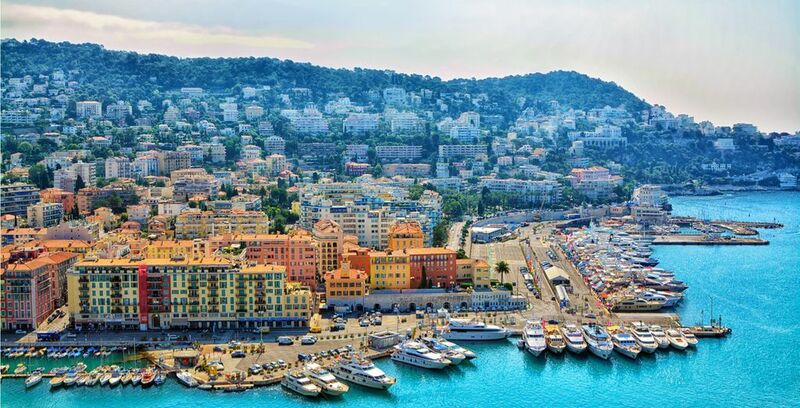 Nice is a very easy city to travel around. You can easily navigate the city by foot, especially if walking along its many beaches. There is a regular and reliable train service that runs from central Nice, allowing you to travel from south to north. There is also the option of hopping on and off the local buses. One of the many reasons that people choose to holiday in Nice is the good weather. The area benefits from a mild Mediterranean climate in the winter and hot summers, making it the perfect location all year round. This is a paved promenade that stretches for 7km. Suitable for bikes and pushchairs, the whole family can enjoy a walk with spectacular views of the Mediterranean. This is a Roman site that is located around the Matisse Museum. There's a stunning olive grove here plus a nearby Franciscan monastery that dates back to 1546. The Palace and its two gardens remain pretty much untouched and are simply gorgeous to wander around. Here, you'll learn all about the history of Nice, and it's free to enter. This is Nice's best-known flower market that is held every day except Monday, home to fruit and veg sellers galore. The market square is surrounded by restaurants that allow you to eat outside, no matter what time of year. When in Nice you must visit the Matisse Museum. Located on Cimiez Hill, you can see his work and learn more about the man behind the paintings. Discover our holidays to France: France holidays, stays in France, France travel guide.